EzraPoundsLibrary is a Legacy Library. Legacy libraries are the personal libraries of famous readers, entered by LibraryThing members from the Legacy Libraries group. » Ezra Pound 's catalog. » Ezra Pound 's legacy profile. EzraPoundsLibrary is also an author. 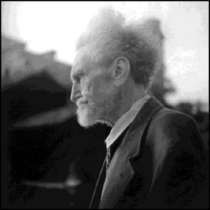 » See Ezra Pound's author page. Il papiro magico vaticano/Boris de Rachewiltz by Biblioteca apostolica vaticana. Manuscript. Pap. aeg. 19. About meEzra Pound (1885-1972), an American expat, was a well-known Modernist poet of the 20th century. "A man of genius has a right to any mode of expression." "Genius... is the capacity to see ten things where the ordinary man sees one." "I guess the definition of a lunatic is a man surrounded by them." "The art of letters will come to an end before A.D. 2000. I shall survive as a curiosity." About my libraryThose books included here are the Pound materials included at the Harry Ransom Center, University of Texas at Austin. See the HRC's catalog here. Yale University holds 356 titles from Pound's collection of journals, magazines, and newspapers; these have not been included in his LT catalog. Records for them are available here.